Lead Generation is now a day’s widely used by all types of companies. Lead Generation is a way of getting potential customers database by using various Internet Marketing Services. But question arises that from where leads are generated? There are various ways for lead generation- Both Offline and Online. We generally follow Online method for Lead Generation. We use effective techniques for lead generation. 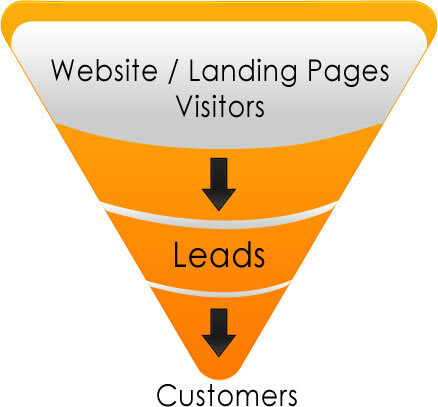 Lead generation is cost effective method and you only have to pay for cost per lead. Our SEO Experts do keyword research and suggest keywords relevant to your niche business. Our best web designers create the landing page for your website. Landing pages are used for lead capturing purposes. Our SEO Experts team drives traffic to your landing page by following various SEO techniques. From lead generated database, we follow customers quickly and convert leads into sale. Lastly, we analysis the whole process and generate report accordingly.